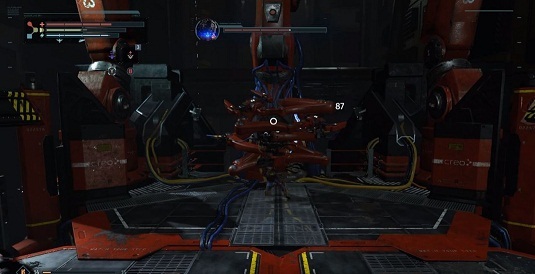 The Big Sister 1/3 is the third boss that you will encounter in The Surge and the fight consists of three phases. The problem with the Big Sister 1/3 is that her arms seem to be incredibly random, attacking arbitrarily. In addition, she shares enormous damage and the detection is really difficult due to the fast movements. While you are still busy focusing on the weakness of the Big Sister, it can happen that one gets missed very quickly - so don’t be distracted from the targeting. Nevertheless, it is worth to win the fight, as you will be rewarded with the corresponding trophy or achievement - 10,000 Tech Scrap and the Big Sister weapon. You should pay attention to this in the first phase. - If you have watched the arms for a while, you will be able to recognize the attack pattern. They will push forward, wipe you from the side, or simply blow you from above. - To escape these attacks of the Big Sister, you have to learn how they are initiated, then you also know in which direction you have to evade. In addition, you cannot just blindly attack. You have to hit at the right moment and then quickly search the distance again. - The laser shoots at you if you don’t move for a few seconds. But even if you move, the Big Sister will pull out 1/3 of the laser - about every second arm attack. You must learn to avoid the laser without getting hit by the arms. If you have thrown your arms, then the fight against the Big Sister will start in the second phase. 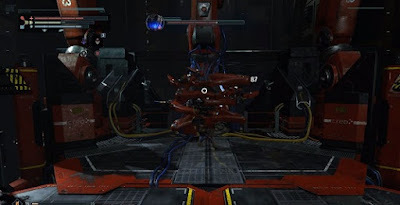 In the second phase in the fight against this boss you must advance further and fight against the four small laser arms. So that you are not attacked by too many poor people at the same time, you should decide for one side and attack there. You will have to avoid two arms at best. Keep your head down from the beginning. The Big Sister can still attacks you with the laser beam, but you can minimize the chances. Only when you have cut off all her arms, you should approach the head of the Big Sister 1/3. If you think the Big Sister 1/3 has been exhausting so far, prepare for the toughest part of the fight. This is about being really fast. In addition, you must approach closely, even if the head then attacks various attacks with its tentacles. By now you should become more offensive. If you keep your head down and avoid the tentacles, then quickly slips back and tries to provoke this attack, you should quickly defeat the Big Sister.